Undoubtedly sports are an enjoyable activity however many health advantages are provided by them also. Hopefully you may not also have to contemplate this, but should you need to do, you will find lots of components to check out. It really is an innovative part in the play. It’s certain that with the fresh sort of journey, you’re going to be in a position to find several intriguing matters. You can find many examples that could exemplify this hypothesis. Will that overload the motherboard? Simple tips to win the struggle with an essay that is literary? IPES-Utility Management Services (UMS), founded in 1996, assists municipalities and utilities with the development, implementation and management of meter reading, revenue and debt management services as well as water and electricity infrastructure upgrades and maintenance. UMS has developed its own range of bespoke SMART applications and management solutions, most notably, operational management of credit control, indigent registrations, data verification services and spatial audits. UMS focuses on assisting the municipal sector to achieve measurable financial well-being and growth, enabling them to be financially viable – all the while transferring related skills through people development and mentorship programmes. Craig King joined the group in 2012 where he worked in the financial services sector for three years, with two of those years based in London. After returning from overseas, he was appointed as the Commercial and Operations Director of Sebata Municipal Solutions. In 2016, Craig was appointed as the Head of Strategic Finance for MICROmega Holdings Limited where he sits on the main board as an executive director. Craig completed his Bachelor of Commerce (B.Comm.) at the University of Stellenbosch followed by a Postgraduate Diploma (PGDip.) in Commercial law at the University of Cape Town. Greg has been part of the MICROmega Group for over 20 years. He is a qualified Chartered Accountant (SA) and is the Chief Executive Officer of MICROmega Holdings. Greg is responsible for the Group’s overall strategy, strategic management and all corporate finance transactions. During his tenure at MICROmega, Greg’s natural business insight, financial acumen and entrepreneurial flare has allowed MICROmega to produce rapid growth within the niche sectors that the Group has operated within. Russell is a qualified Chartered Accountant (SA) and was appointed as Chief Operations Officer (COO) of MICROmega Holdings in March 2017. He previously served as the Group Financial Director, a position he had held since 2012. He is responsible for strategy development and day-to-day operational concerns for the Group and its subsidiaries. Russell’s new role as COO is centered around integration, particularly within our occupational risk and education and training businesses, leveraging off his experience gained since joining the MICROmega Group in November 2009. Qualified as a chartered accountant in 2014 after completing my articles with Ernst & Young. Shortly after articles he joined NOSA where I held the position of financial manager until March 2016. From March 2016 to October 2018 he served as the CFO for the Sebata Group of companies. Appointed as the Financial Director from 1 November 2018 at Sebata Holdings. Dial-a-Nerd provides IT support and computer support to professional firms, SMME’s and educational institutions across South Africa. The company also assists home users and small businesses with on-site and off-site support. The company provides a range of services from network architecture design to managed services and have also introduced IT systems aimed at enhancing teaching and learning within the education sector. Our Connectivity and IT Support business’ are fast becoming the defacto providers of Telecommunication and Managed Solutions to the SME and corporate market in South Africa. Comprised of dedicated solutions from over 35 Tier 1 Network and Service Providers, with over 20 years’ experience in Managed Support, our ability to deliver custom and competitive solutions in the ICT market is unmatched. Local South African municipalities are losing up to 40% of potable water. To combat this problem, Amanzi Meters apply advanced manufacturing technologies to design and manufacture robust and durable plastic water meters, boxes and smart metering products for the residential market, with all testing and verification of these products performed in a SANAS-accredited laboratory. Utility Systems or USC is the premier supplier of electronic water control and Standard Transfer Specification (STS) Association water prepayment devices. Established in 2001, it is South Africa’s premier supplier of pre-payment water meters and electronic water-control devices with an ever-expanding global customer base. The Utility Systems approach is to tailor-make solutions to suit not only the requirements of water service providers, but also their consumers. R-Data was formed in 1991 focusing in system solutions and implementation, training and support and database design. The company successfully designed and developed a public sector accounting package that incorporates general ledger, creditors, orders, cashbook, stores, payroll, HR, costing, consolidated debtors, fixed assets and loan registers. R-Data’s technology is being strategically leveraged within MICROmega’s public sector arm. Freshmark Systems has provided leading and innovative information communication technology solutions and services to municipal fresh produce providers since 1987. Freshmark’s computerised sales, cash and stock control system is a fully integrated online, real-time market management system that is installed at 21 markets nationwide. Mubesko is a consulting practice that focuses primarily on the local government sphere. Its services include drafting municipal policies, long-term financial planning, financial performance evaluations and strategies, forensic investigations and training programmes. 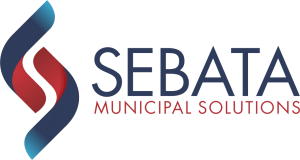 Sebata provides integrated technology solutions, enterprise management systems, and multi-disciplinary professional services to municipalities, public entities and provincial government. Sebata’s services extend to more than 150 local government institutions and public entities in the SADC regions, with major centres in South Africa, Namibia and Lesotho. 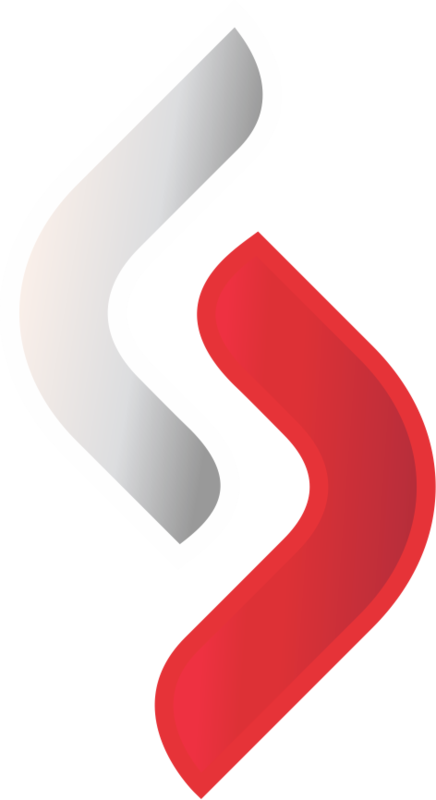 In 2016, Sebata, through its flagship product, SebataEMS, was selected as a preferred service provider on South Africa’s National Treasury Transversal database to provide an integrated financial management and internal control system to municipalities. The Training Room Online (TTRO) develops digital learning solutions to cater for the challenges that face modern organisations. From rapidly changing products, technologies and industries to the behaviours those changes affect, TTRO leverages a combination of learning, technology and business acumen to deliver on-going support and development to improve organisations through their people and culture. TTRO is made up of learning, technology and business experts that dive into a company’s systems and processes to identify learning and behavioural gaps. It then employs a wide variety of tools to equip people with skills and knowledge resources necessary to excel in a competitive world. The Training Room Online has a strong position in South Africa with rapid expansion currently underway in the United Arab Emirates, the Kingdom of Saudi Arabia and throughout Africa. Aspirata provides a consolidated programme of health and safety services that include occupational health and safety, hygiene, food safety and quality microbiological and chemical laboratory testing, as well as training and development. Aspirata is one of the leading laboratory service providers in Southern Africa with custom-built, ISO-accredited chemical and microbiological laboratories. The business is a certified Approved Inspection Authority, conducting risk assessments and evaluating the results to determine cost effective measures to reduce any health hazard to an acceptable level as per legislative requirements. Aspirata conducts nearly 1 700 real-time, web-based and computerised audits a month as well as analyses more than 2,500 samples a month. NOSA Logistics provides dynamic training courses and skills programmes and risk management training solutions for drivers, warehousing staff and other logistics related occupations. The solutions offered can measurably increase productivity, decrease risk and add to business profitability. Currently, the business trains over 6500 students. COID Support assists employers, employees and doctors with their Compensation for Occupational Injuries and Diseases (COID) account management and claims management. Through these services COID Support helps employees meet their Workers’ Compensation obligations by taking over the complex claims process on their behalf, allowing them to free up cash-flow and resources. COID Support also offers training to ensure employees are aware of what is required to remain compliant with the COID Act. NOSA Action Training Academy (ATA) offers first aid, firefighting, emergency and paramedic training, as well as health and safety management and training to 34 000 delegates per year. The business was established in 2001 and operates a national Health & Safety (H&S) service that includes training, equipment supply and the implementation of effective management systems. MICROmega has grown NOSA into a prominent and highly regarded brand which has created the demand for the business’ global expansion. The short-course and service offering that NOSA provides is considered world-class throughout the globe and this has emphasised the need to focus on growing NOSA into a leading training provider throughout China and Hong Kong. EMPOWERisk supports and empowers private and public entities to proactively and optimally manage current, unacknowledged, emerging and reputational risks and exposures. The core service offerings include Treasury and Risk Management, Construction Regulations Compliance Management and Occupational Health and Safety Act Compliance Management. NOSA provides occupational health, safety and environmental (HSE) risk management services and solutions, and is the exclusive provider of the world-renowned NOSA five-star grading system and SAMTRAC. NOSA was founded by the South African Government in 1951 to reduce injuries and fatalities in the workplace and continues to cultivate a workplace attitude that emphasizes employee well-being. The business was acquired and restructured by MICROmega Holdings in 2005 with a strong focus on creating a national service provider that met the growing demand for occupational health and safety services. NOSA provides services to five continents and to all sectors of industry and currently conducts over 5000 site assessments and trains in excess of 65 000 individuals per annum, making it one of the largest providers of short-course training in South Africa. NOSA continues to leverage the power of technology and is utilised in driving business growth through the NOSA contractor vetting systems; integrated risk management assessments and a new business unit, NOSA Schools, which creates teenage drug and alcohol awareness through gamified learning.